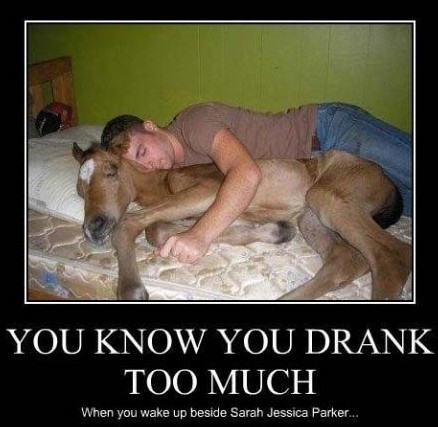 Drinking Alcoholic Drinks may be fun, but ensure that you don’t have to bear the consequences. This one is extremely serious. Not only are you risking your own life, but also that of the others in the car and those who are out on the road or in other vehicles. 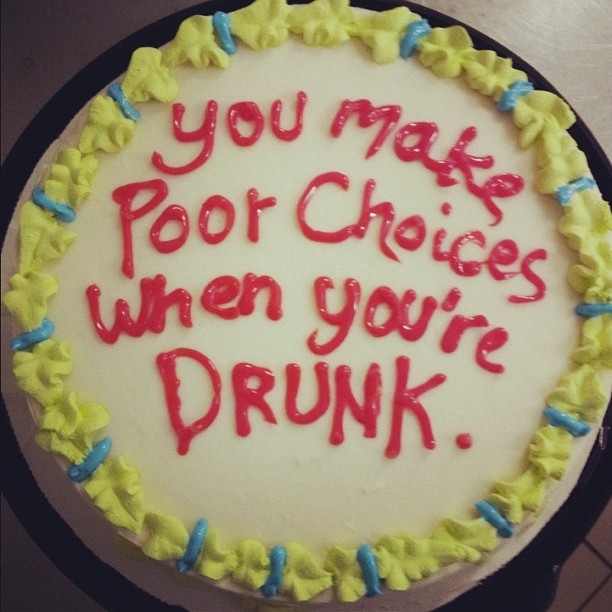 Make sure that you either take a cab back home or have a sober friend who can take over the task. It’s not macho to drive when you are drunk. Whether it’s your friend or someone you are interested in, don’t start a conversation with someone when you are drunk. You never know when your rather ‘high’ spirits may get you into some big trouble. Samsung new Galaxy S5 has finger print login,heart rate monitor and 16 MP camera with flash.. We compare the new phone with two of its top competitors, LG’s newly announced G Pro 2, and the wildly popular iPhone 5S. 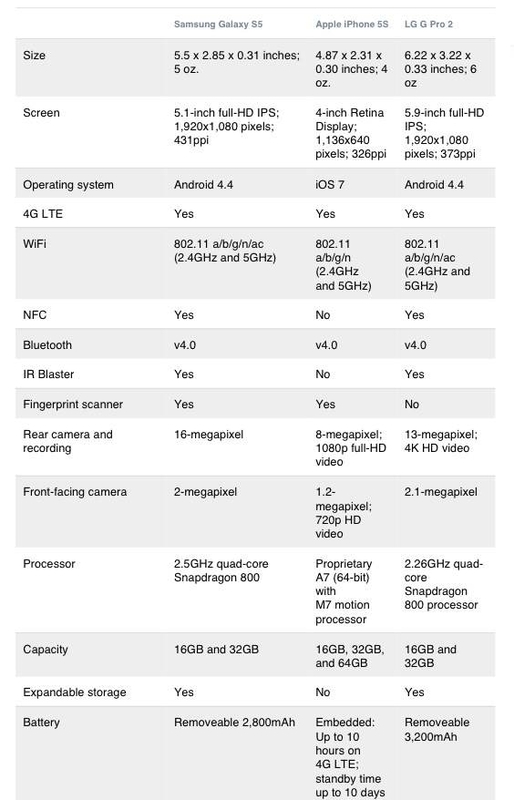 Take a look at the specs below and decide for yourself which phone fits your needs. If you find yourself resisting “being strategic,” because it sounds like a fast track to irrelevance, or vaguely like an excuse to slack off, you’re not alone. Every leader’s temptation is to deal with what’s directly in front, because it always seems more urgent and concrete. Unfortunately, if you do that, you put your company at risk. While you concentrate on steering around potholes, you’ll miss windfall opportunities, not to mention any signals that the road you’re on is leading off a cliff. This is a tough job, make no mistake. “We need strategic leaders!” is a pretty constant refrain at every company, large and small. 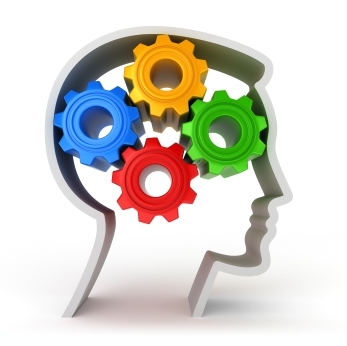 One reason the job is so tough: no one really understands what it entails. It’s hard to be a strategic leader if you don’t know what strategic leaders are supposed to do. Obviously, this is a daunting list of tasks, and frankly, no one is born a black belt in all these different skills. But they can be taught and whatever gaps exist in your skill set can be filled in. Who knew ten years ago that you would need to remember so many passwords? A PIN for your bank account, personal email password, work computer log in: the list goes on & on. These suggestions will help to keep your online accounts as safe as possible. This is a common sense rule that is broken all the time. Please do not share your passwords with friends or family. Hackers have software that can generate common words even if you spell them backwards and add a number. Some of the most common passwords according to PC Magazine: password, 123456, qwerty, abc123, letmein, monkey, myspace1, password1, link182, (yourname). I hope your password isn’t in this list. If hackers get your email, they will have access to all your accounts. Do not use the same password for all your accounts; again common sense. However, it is a common mistake. Names, birthdays, parts of addresses or pets names can all be easily guessed by someone who knows you. But please keep them in a secure place! To create a strong password, you can also use a random password generator such as PC Tools free Secure Password Generator. 12. How safe is your favorite password? Check the strength of your password on this Microsoft page. Do you have additional ideas for keeping your accounts safe? Please share! Some Laws Einstein missed out !!! The FIFA 2010 World Cup is here. In India, people can watch the live coverage of the Football matches on ESPN channel. The first match of the 2010 FIFA World Cup will be played between the hosts South Africa and Mexico at Johannesburg. In India the South Africa Vs Mexico match can be watched live on ESPN Sports at 7:30pm. Many football fans have been searching for the FIFA Full form. FIFA stands for Fédération Internationale de Football Association. Mentioned here is the Football World Cup 2010 schedule and fixture according to Indian Time (IST). The FIFA 2010 schedule is the one of the most searched these days, as no one wants to miss out the matches of their favorite countries. If you are among those who are getting irritated with the buzzing background noise of the vuvuzelas during the Football World Cup 2010 matches, here is some good news – the FIFA World Cup 2010 organising committee is considering a ban on the plastic horn. The vuvuzelas are blown from the start of the game to the end in the stadium as well as on the streets. Even though the noise of vuvuzelas has become a defining feature of the 19th football World Cup, it has managed to get on the nerves of many including players and coaches. While broadcasting companies have raised a cry against the vuvuzelas as they are drowning out the commentary, the laymen football fans are turning to internet to vent out their frustration against the horns. As many as 80,000 people have supported the banishment of vuvuzelas on Facebook. A website created for the purpose, http://www.banvuvuzela.com, has received 74,239 votes already. 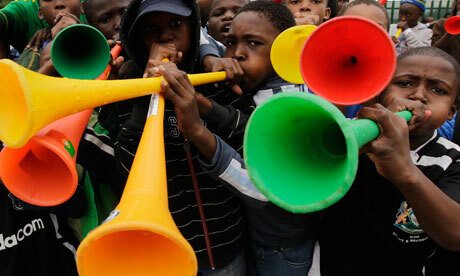 Vuvuzelas are also the most talked about topic on microblogging site, Twitter. FIFA World Cup 2010 – Who will WIN ?